flatknob3-red.knob by Ryoya Kawai is licensed under a CC0 Public Domain. flatknob3.knob by Ryoya Kawai is licensed under a CC0 Public Domain. flatknob2.knob by Ryoya Kawai is licensed under a CC0 Public Domain. 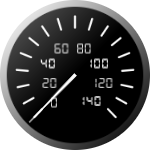 Speedometer_v3.knob by Art Greeley is licensed under a CC0 Public Domain. 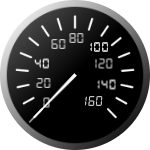 Speedometer_011615.knob by Art Greeley is licensed under a CC0 Public Domain. 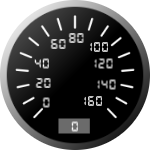 * Simple Speedometer - "Fixed"
volume.knob by juninho is licensed under a CC0 Public Domain. Ticked_HSlider.knob by Billy sham69 is licensed under a CC0 Public Domain. Jupiter4.knob by Kossoff is licensed under a CC0 Public Domain. knobLittlePhatty1.knob © 2014 is licensed under a Creative Commons CC-BY. pitch_meter.knob by Chris Wilson © 2014 is licensed under a Creative Commons CC-BY. VintagesilverRechts.knob is licensed under a CC0 Public Domain. Botton Red 3.knob by SFR Project is licensed under a CC0 Public Domain. Knob centre SFR.knob by SFR Project is licensed under a CC0 Public Domain. knob_dark SFR.knob by SFR Project is licensed under a CC0 Public Domain. Knob IDE.knob by SFR Project is licensed under a CC0 Public Domain. Botton led.knob by SFR Project is licensed under a CC0 Public Domain. Botton Red.knob by SFR Project is licensed under a CC0 Public Domain. knob SFR 1.knob by SFR Project is licensed under a CC0 Public Domain. TC Icon.knob is licensed under a CC0 Public Domain. reaktor.knob is licensed under a CC0 Public Domain. Blue_HSW2-2.knob by Matteo Milesi is licensed under a CC0 Public Domain. footsw.knob by aike is licensed under a CC0 Public Domain. plastic_knob.knob by aike is licensed under a CC0 Public Domain. color_knob.knob is licensed under a CC0 Public Domain. XV Knob med.knob by wikter is licensed under a CC0 Public Domain. Add'It Knob small bipolar.knob by wikter is licensed under a CC0 Public Domain. XV VFader DK.knob by wikter is licensed under a CC0 Public Domain. XV VFader.knob by wikter is licensed under a CC0 Public Domain. VintagesilverRechts.knob by mn is licensed under a CC0 Public Domain. cyan_light_knob.knob is licensed under a CC0 Public Domain. Korg770-2.knob by Diogeneslingus is licensed under a CC0 Public Domain. Korg770-1.knob by Diogeneslingus is licensed under a CC0 Public Domain. knobman-lumen2.knob is licensed under a CC0 Public Domain. Gorethi2.knob is licensed under a CC0 Public Domain. Dust%20Knob2.knob is licensed under a CC0 Public Domain. Gorethi.knob is licensed under a CC0 Public Domain. KNOB7-50x80.knob by Andre is licensed under a CC0 Public Domain. Dilation.knob by Ben Wadsworth is licensed under a CC0 Public Domain. GoldKnob.knob by Ben Wadsworth is licensed under a CC0 Public Domain. flatknob.knob by Ryoya KAWAI is licensed under a CC0 Public Domain. * Feel free to use this knob!! fxknob2.knob by TLH is licensed under a CC0 Public Domain. fxknob.knob by TLH is licensed under a CC0 Public Domain. fxslider.knob is licensed under a CC0 Public Domain. metalknob.knob by TLH is licensed under a CC0 Public Domain. Synth%20Knob.knob is licensed under a CC0 Public Domain. Synth Knob.knob by TLH is licensed under a CC0 Public Domain.